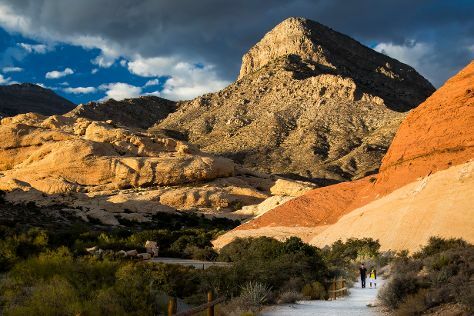 Escape the urban bustle at Red Rock Canyon National Conservation Area and Lake Mead National Recreation Area. Kids will enjoy Madame Tussauds - Las Vegas and Bodies The Exhibition. Explore the numerous day-trip ideas around Las Vegas: Clark County Heritage Museum (in Henderson), Valley of Fire State Park (in Overton) and Hoover Dam (in Boulder City). And it doesn't end there: examine the collection at The Mob Museum, try your luck at New York New York Casino, admire the local landmark of Bellagio Fountains, and push the limits with an extreme tour. To find maps, ratings, traveler tips, and tourist information, read our Las Vegas online trip builder . In November in Las Vegas, expect temperatures between 68°F during the day and 47°F at night. Finish your sightseeing early on the 23rd (Fri) to allow enough time to travel back home.